Last week I was thrilled to announce that we would be awarding prizes for those members who have registered in the One World Quilt Along. This week I'm pleased to let you know that we have added another prize to these! Curious.com is providing us with a one year's subscription to be awarded to one lucky Quilter. Curious.com is the website for lifelong learners and I teach several online classes there: Essential Guide to Fusible Web Appliqué, Hand Embroidery Essentials and The Joy of Vintage Sewing Machines. I'm not the only teacher on Curious.com: there are hundreds of teachers and thousands of lessons viewable on their website. 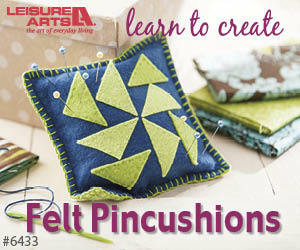 There are many quilting and sewing courses, but you don't have to limit yourself to just those! You'll be able to watch lessons on baking, photography, exercise and computer applications. There are even courses on calculus, if you're so inclined (which I definitely am not, but don't let me influence you!). How do you enter to be eligible for this one year subscription to Curious.com? This prize is for the early birds! Sign up for the One World Quilt Along as a Quilter before 11:59 pm EST on September 14, 2016 and you'll be eligible for this prize. Keith and I will do a random draw and one Quilter will win a year's subscription to Curious.com. You'll definitely find my courses on fusible web appliqué and hand embroidery helpful in making your version of the One World quilt. Register now as a Quilter for the One World Quilt Along to be eligible or sit back and keep your fingers crossed if you are have already signed up as a Quilter. Older PostTelecast Thursday - Breaktime!